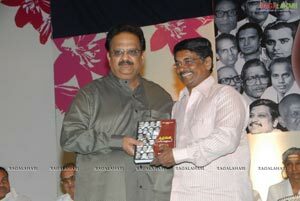 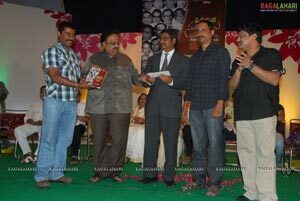 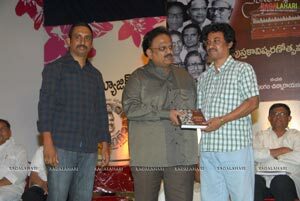 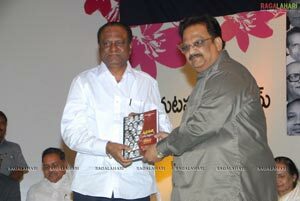 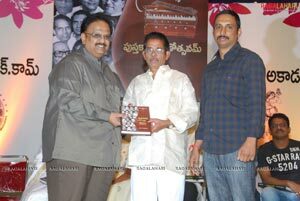 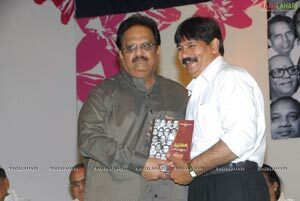 Famous journalist Pulagam Chinna Narayana’s book ‘Swarnayuga Sangeeta Darsakulu’ was launched at Bharatheeya Vidya Bhavan in Hyderabad. 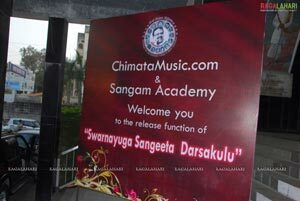 Presented by chimatamusic.com this book launch was organized by Sangham Academy. 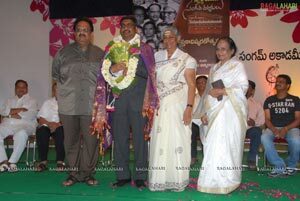 In this programme Melody King SP Balasubrahmaniam, melody queen S Janaki, classical dancer, Shobha Naidu, Palle Rama Rao, Rao Bala Saraswathi, Mandali Budda Prasad, Madhavapeddi Suresh, Chimatamusic.com, Srinivasa Rao, Pulagam Chinna Narayana, Dr C Narayana Reddy, Thanikella Bharani, Sanjay Kishore, music director KM Radha Kirshna, Gummadi Gopala Krishna, Pulagama Chinna Narayana’s father Pulagam Gandhi, director Vamsi, Janardhan Reddy, Surya, Sivalenka Krishna Prasad, Taadishetty Venkata Rao, etc. 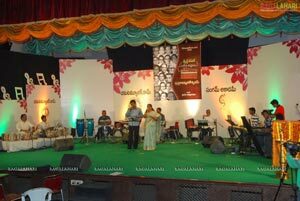 The programme started off with the lightening of lamp by Shobha Naidu, Rao Balasaraswathi and Aakunoori Sarada. 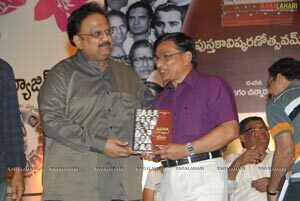 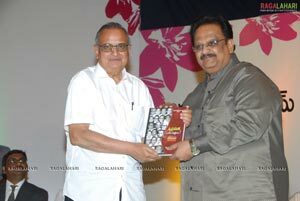 The ‘Swarnayuga Sangeeta Darsakulu’ book was launched by Dr C Narayana Reddy and the first copy of it was received by SP Balasubrahmaniam. 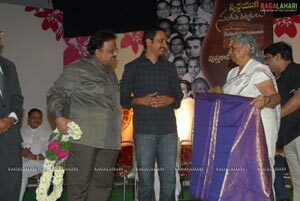 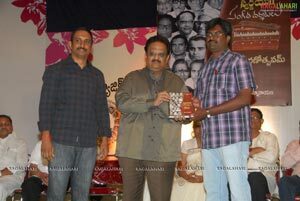 Later SPB and S Janaki together honoured the author of the book Pulagam Chinna Narayana and publisher Chimata Srinivas Rao followed by the shawal presentation to the author by Aakella Raghavendra. 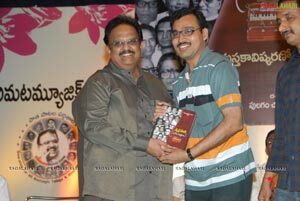 The first copy of the book was purchased by Suresh Kondeti for Rs 5,116/- and the 2nd copy was bought by Surya magazine photographer. 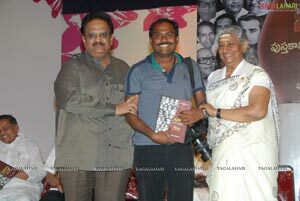 Journalist Gavara Naagu and Sakshi photographer Mallaala Sivaramakrishna also bought the books. 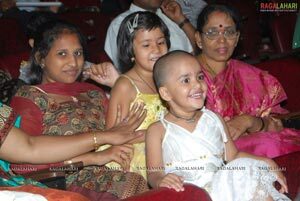 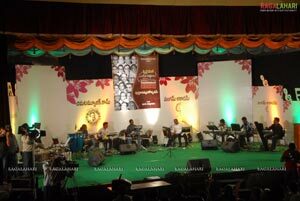 On this occasion a concert was held by singer Krishna in which Mitra, Vijayalakshmi, Sashikala, Srikrishna, Sarada, Ramulu and Ramana Babu rendered the old classics. 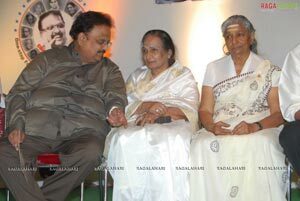 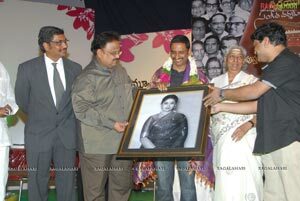 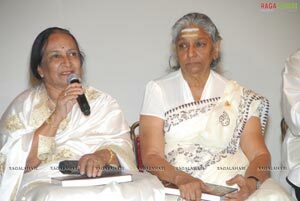 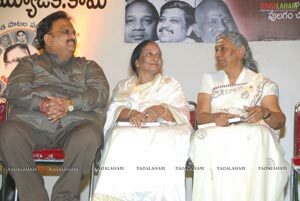 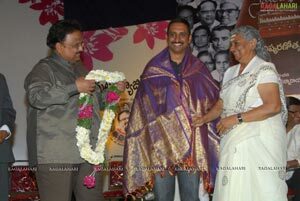 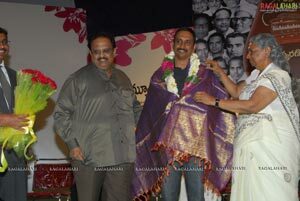 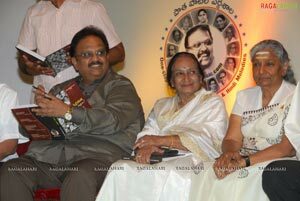 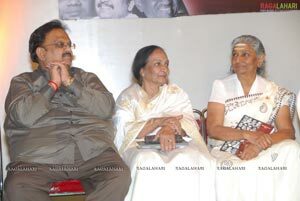 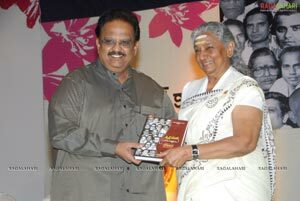 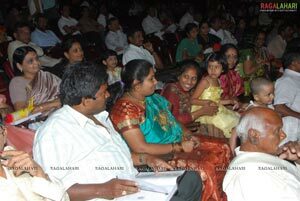 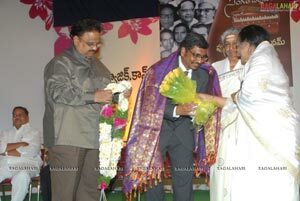 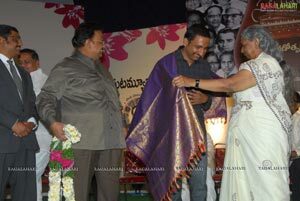 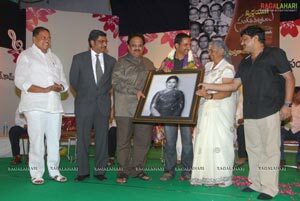 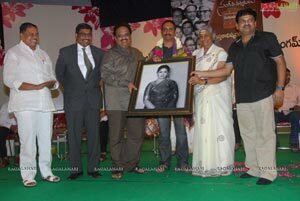 Later the melody queen of south India, S Janaki felicitated the singers and the entire band that played the instruments. 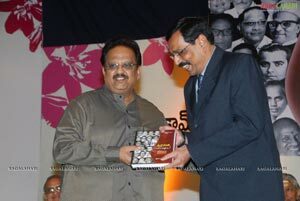 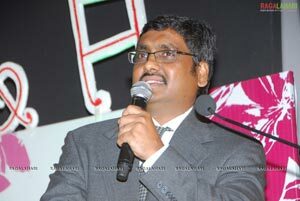 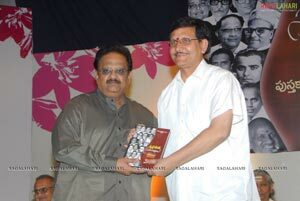 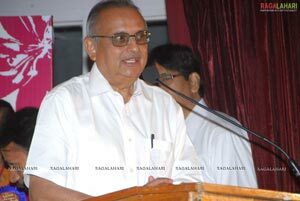 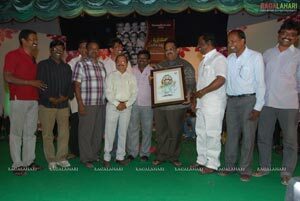 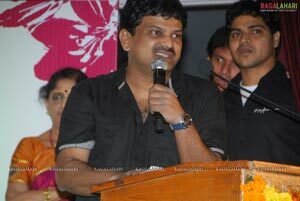 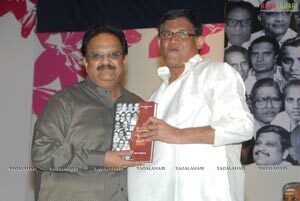 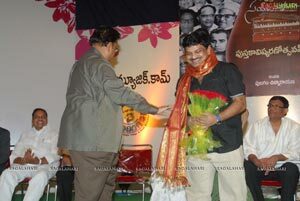 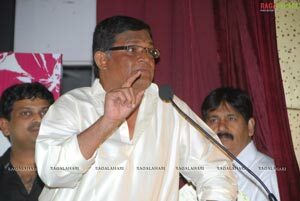 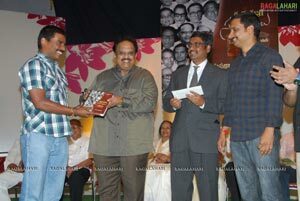 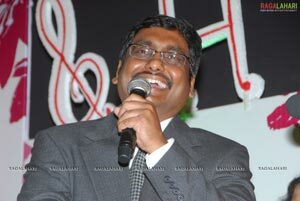 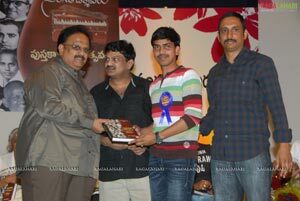 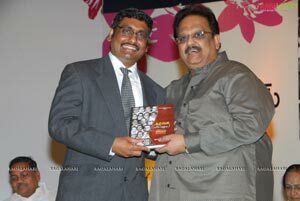 In the end Pulagam Chinna Narayana commented by saying that this is not a golden opportunity but a diamond opportunity.